Director of Social Work for the United Cerebral Palsy Association in Nassau County, New York. 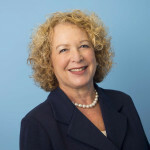 Director of Human Services at UJA-Federation of New York, where she was responsible for planning and allocations for 11 New York human service agencies. Director of Adult and Geriatric Psychiatry and Social Work at Brunswick Hospital on Long Island. CEO/Executive Director of Ruth Rales Jewish Family Services of South Palm Beach County. In August 2010, Dr. Faffer and her family relocated to Naples to lead the organization that became Naples Senior Center at JFCS. She is a past chair of the Collier County Leadership Coalition on Aging and is a graduate of Greater Naples Leadership Class XVIII. Dr. Faffer has served as a consultant to the National Multiple Sclerosis Society on issues related to the psychological impact of chronic illness and disabilities. She has been an adjunct professorat Adelphi University, Hunter College, the Wurzweiler School and Barry University, all graduate schools of social work where she taught clinical practice, social welfare administration and human behavior in the social environment. Dr. Faffer has published numerous articles in professional journals on social work practice and administration and human resource development. She was awarded a scholarship from the Harvard Club of Naples to attend Strategic Perspectives in Non-Profit Management, the Harvard Business School Executive Education program for CEOs.